What if integrated landline goes down? Right now my landline is integrated with the ooma. What if a bad storm blows a tree down that takes down our phone line with it? If we haven't lost our cable/internet, I should still be able to make calls with ooma via the internet right? Re: What if integrated landline goes down? I think if the landline goes down, Ooma goes down. Yep, if the landline goes down ooma goes down. The chances are greater of a network issue than a landline issue, though. With my experience with cable (in the past) I'd worry about the cable over the landline! Given the advantages and disadvantages of integrating your landline with the hub, some of us (like Wayne) have chosen to keep our landline separate. I still need to have a landline until next May or so to get the great pricing I have on my Qwest DSL - but I get some other advantages too. I get a second number (actually by only ooma number) without needing to subscribe to Premier, I still have a backup in case my Internet goes down, and (in time) I can reduce my landline to the most basic plan - no provisioning required. I use Google Voice as a front end for our phones so if there is a problem with either ooma or the landline, callers still dial the same number. Last month a squirrel chewed through the fiber cable that fed voice to our island. It was 5 days before all was well again but callers didn't have a clue as they still dialed the same number. I just changed where GV forwarded the calls. 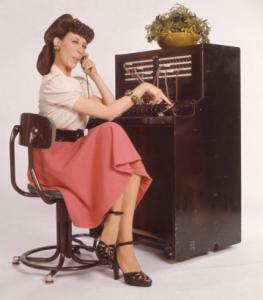 If I had integrated my landline I would have been without service for those days.